Sophia was begging to get out and sit on me while I was sitting at the table working on photos at Tristan’s and David’s. 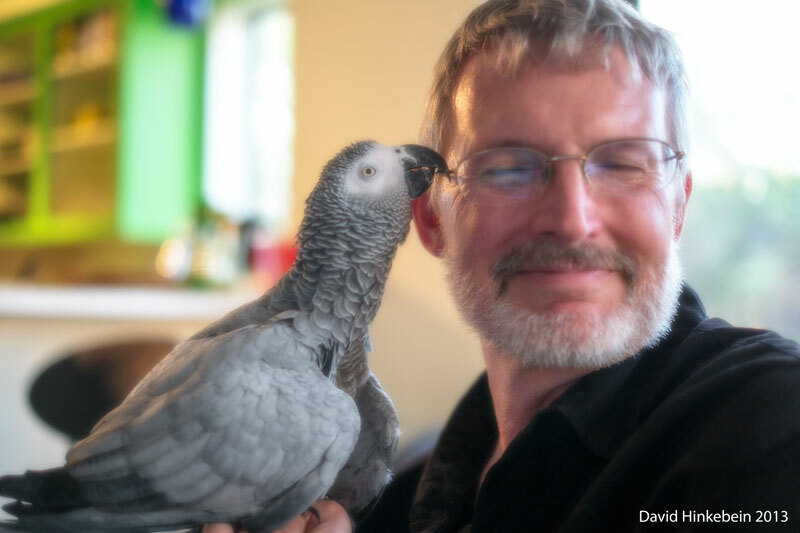 Apparently I remind her of her previous owner and she got very excited to be out with me, started grooming me, and regurgitating for me, which is a very loving gesture coming from an African Grey! 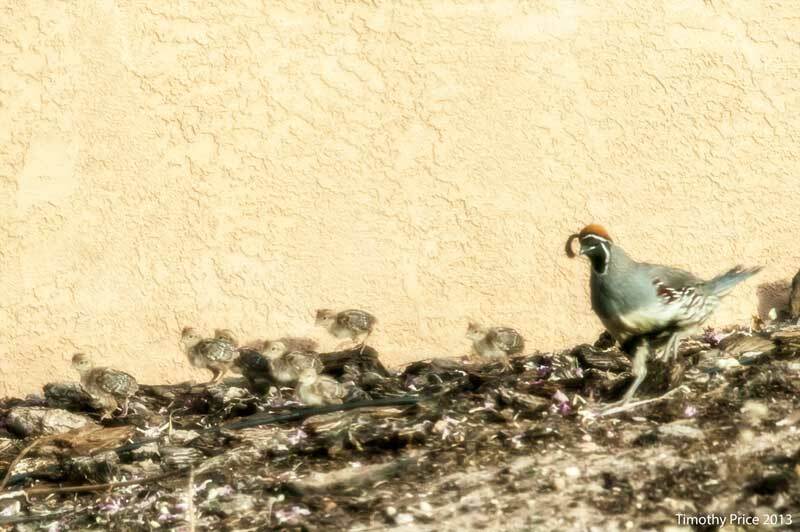 There is a family of quail in their back yard. 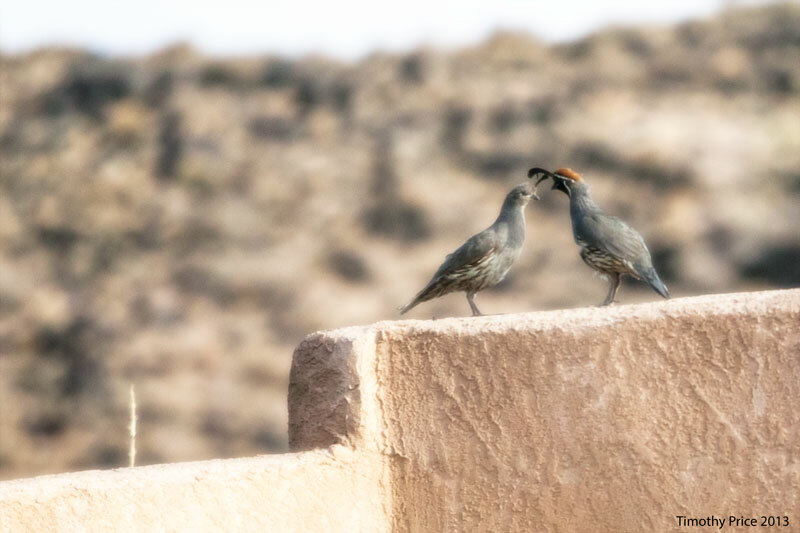 Mama and papa quail sit on top of the wall and act bewildered that the chicks can’t get up on the wall with them. The chicks blend into the bark, mulch and wall.